In this article I would like to revisit the subject of the ancient Nicaraguan statues. Lately I have been intrigued by two questions about them. What is the meaning of the strange head decorations that many of them exhibit, and second, what is their correct age? First the head pieces. A number of the statues were carved with various animal heads sitting atop the human figure. Animals such as a wolf (or dog), a turtle, a monkey, an eagle, a crocodile, and one that looks like the trunk of an elephant. These have been depicted by researchers as shamanistic representations wherein the individual shaman took the form of an animal (or alter-ego forms). 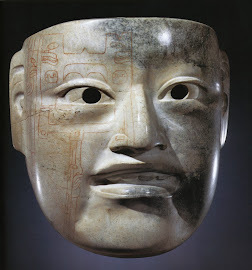 Other of the statues have a geometric shape sitting atop the human head-shapes such as columns, pillars or round disks. What was the original purpose or meaning for these head pieces? I suggest that they may have represented the name or identity of the individual. All of the statues are unique and seem to represent a distinct individual. None of the head pieces is duplicated in other statues, which would probably be the case if they were intended to represent the same person or diety. 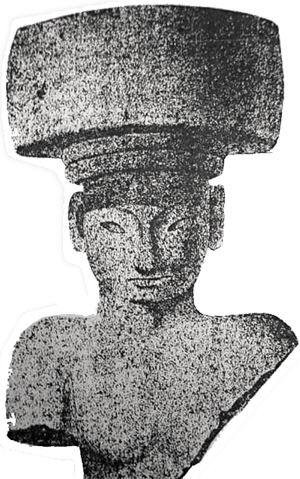 These images may have been votive statues of specific individuals designed to be placed in a temple, or perhaps on a grave following the individuals death. In many glyphs from Mesoamerica the individual is identified by a “hat” drawn above his head which gives his name or identity. 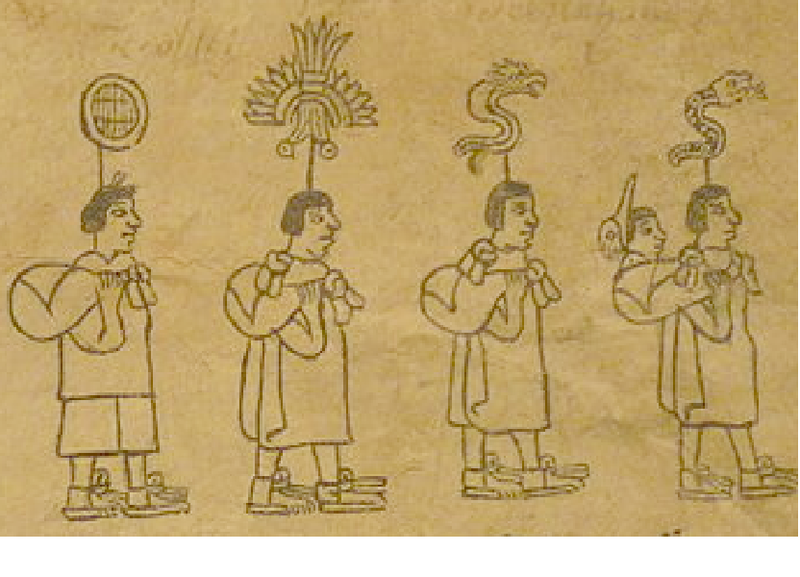 In aztec codices the name is attached by a line drawn to the persons head. Could this ancient Nicaraguan culture have taken the identifying symbol a step farther and carved the image on top of the human head? I suggest that the answer is yes. The second question relates to the actual age of the statues-who made them and when? Archaeologists have dated the statues as fairly late, from 800 to 1500 AD. This dating has been done by comparing them with associated archaeological materials which are of a later date. However if the statues have been reset or moved, then this dating could not be correct. 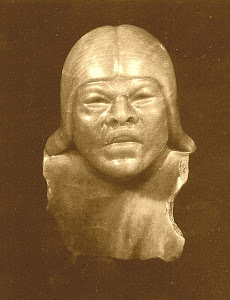 Ephriam Squier, who discovered the first statues in about 1850, writes that the Indians told him that they had moved the statues from their villages, and hidden them to safeguard the statues from the Spaniards. I suggest that the statues are much older than the date given by the archaeologists. Their design is quite sophisticated and depicts the human anatomy quite accurately, something that is not seen in later art work such as that of the Chontales culture on the east side of Lake Nicaragua. In many respects they are very similar to Babylonian artwork, which would be the case if they are indeed of Jaredite artists, as I have previously suggested. I have recently examined some of the statues in the museum of the San Francisco Convent, in Granada, Nicaragua, where many of them are currently housed. They are carved from hard black basalt which normally weathers quite well. However the statues themselves are quite weathered with the surface layers starting to flake off. As a result, a lot of the original detail has been lost. This would indicate to me that the statues are really quite old and are beginning to decay due to natural weathering processes. I suggest that the statues should be re-evaluated and a more comprehensive dating performed by a multi-discipline team of experts. What is the location of Ur of the Chaldees?